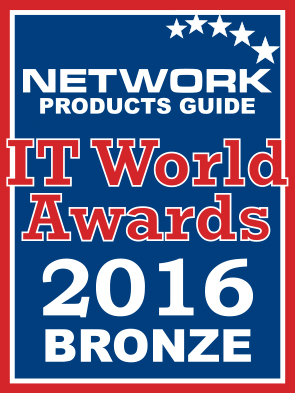 Yesterday, Network Products Guide announced its 2016 winners for the IT World Awards program. We are honored to receive a “Bronze” award in the “New Products and Services” category for our Global SMS API. In its eleventh year, the awards program showcases the achievements of information technology companies in over 60 award categories. OpenMarket was among eight winners included in the “New Products and Services” category, which recognizes security and IT vendors and services providers who have introduced or upgraded existing products or services within the past 18 months. Our Global SMS API won in this category for enabling enterprises to build intelligent SMS messaging programs using a single API. The API not only allows enterprises to rapidly expand their SMS messaging use cases, but also ensures they focus on the content of their messages and campaigns versus handling the technical mechanics and complexities of sending their messages. OpenMarket and its cloud-based mobile messaging solutions support over 400 enterprises, including four of the top 10 most respected global brands with mobile messaging use cases like customer service appointment reminders, emergency notifications, company announcements, and secure PIN authentication. The full list of 2016 IT World Awards winner can be found here. For more information on OpenMarket’s Global SMS API and other mobile messaging solutions, please contact us.